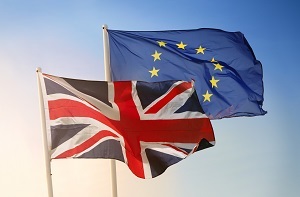 The latest technical notices published by the UK Government today outline the implications of a no deal Brexit for arrangements affecting aviation safety regulation, aviation security and air services. The papers, as well as technical notices on chemicals and road haulage, show a no deal scenario could generate substantial disruption to air travel and aerospace manufacturing after the UK leaves the European Union (EU) in March 2019. Flights in the UK and Europe being put at risk of delay or cancellation over disruption to safety certifications. Disruption to movement of freight across UK-EU borders. Long-term regulatory issues requiring resolution, such as on mutual recognition of regimes for approving aerospace components or chemicals traded between the UK and EU. ADS believes it is clear that the best outcome for air passengers, airlines and businesses across the aerospace sector is for continued UK membership of the European Aviation Safety Agency (EASA), as set out by the Prime Minister in March this year as a UK priority for negotiations. With only a few months remaining before the UK leaves the EU, it is vital that preparations for all potential outcomes are stepped up and that technical discussions take place between the Civil Aviation Authority (CAA) and European Aviation Safety Agency (EASA) to address the complex legal, insurance and passenger safety issues at stake, and ensure continuity of business is maintained. “It is clearer than ever that a no-deal Brexit risks disruption to air passengers and businesses in aviation, aerospace and many other sectors across our economy. “Our industries want to see renewed vigour in negotiations, with both the UK and the EU bringing pragmatism to discussions and making compromises where necessary to reach a negotiated withdrawal agreement as soon as possible. “A successful agreement will establish a transition period after the UK leaves the EU to give businesses the breathing space they need to prepare for new arrangements, adapt and continue to prosper.